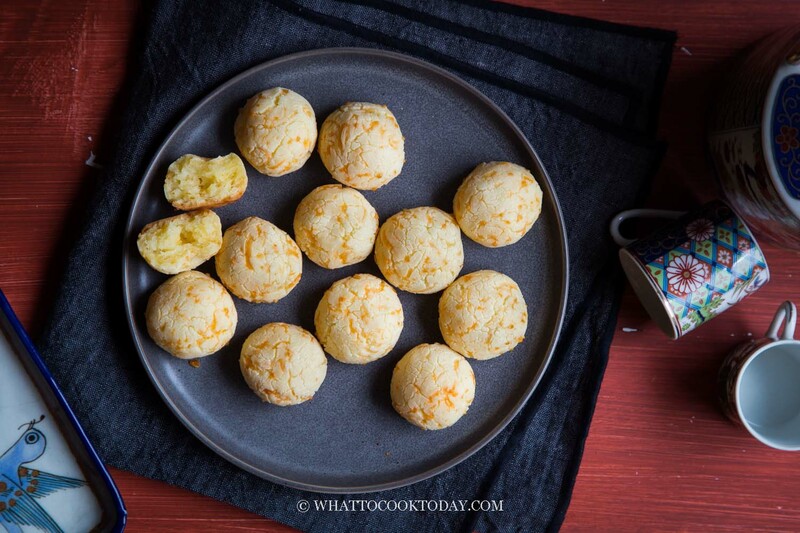 Super Easy Mini Cheddar Mochi Bread – Learn how to make one of the easiest gluten-free, crusty on the outside, soft and chewy on the inside mochi bread. This is truly fuss-free recipe and a big hit in our house. Okay people..let’s talk mochi bread! 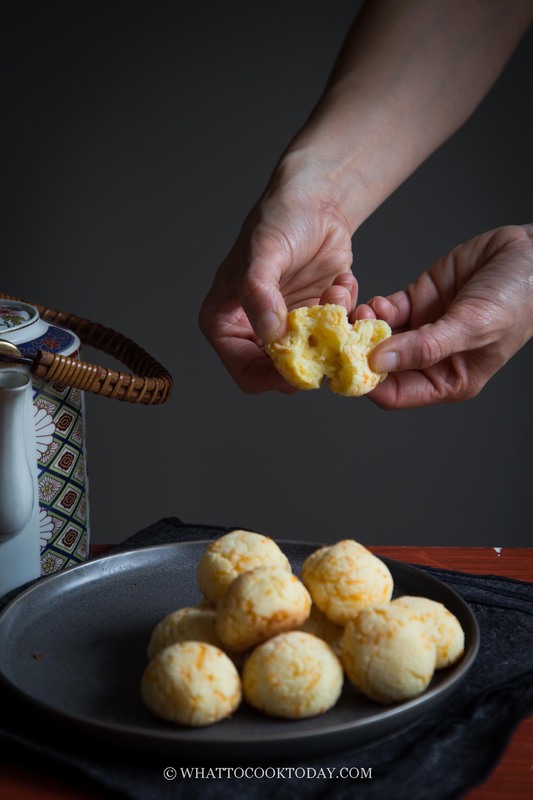 This mini cheese mochi bread is our new favorite. It’s funny that I’ve been using glutinous rice flour (sticky rice flour), or the equivalent of mochiko flour in Japan, pretty much for the past 8 years of my cooking/baking journey, but I had never known about this mochi bread until recently. But they say better late than never! 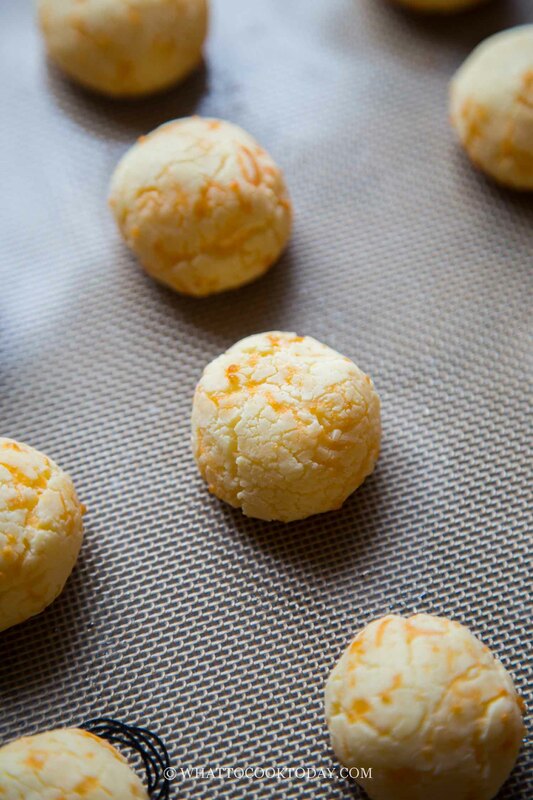 The kids popping these cute mini cheddar mochi bread inside their mouths like no others’ business. One batch of this recipe wasn’t enough! You probably heard of the Japanese mochi, made of mochiko flour or what we call glutinous rice flour. It is sticky, chewy, and elastic in nature when cooked. Mochi bread is made with the same type of flour, which contributes to its chewy texture. It is completely gluten-free for this recipe because I did not use any wheat flour. There is a little bit of tapioca flour, which also contributes to the overall soft and chewy texture. 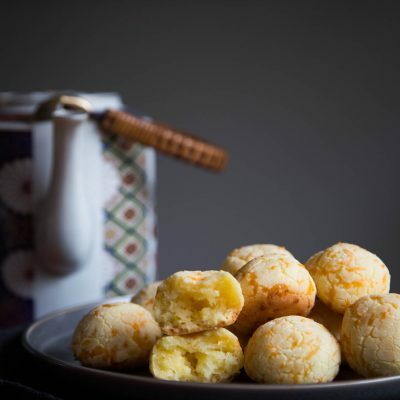 They are also similar bread calls Pão de Queijo (Brazilian Cheese Bread). 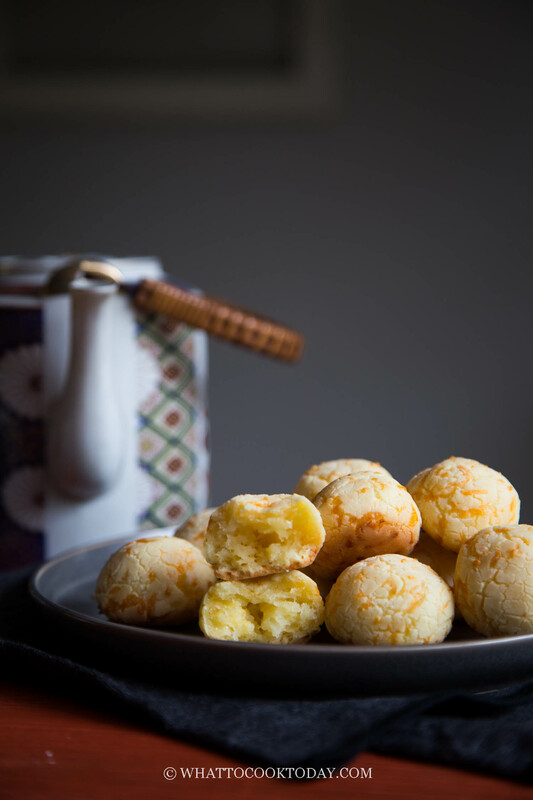 Brazilian cheese bread is mainly made with tapioca/cassava flour which results in pretty similar texture and look. Glutinous rice flour is basically made of sticky rice/sweet rice/glutinous rice. Once heated, it will turn sticky and elastic. It is naturally gluten-free. This is the glutinous rice flour I usually use for all the recipes that call for glutinous rice flour, unless otherwise stated. 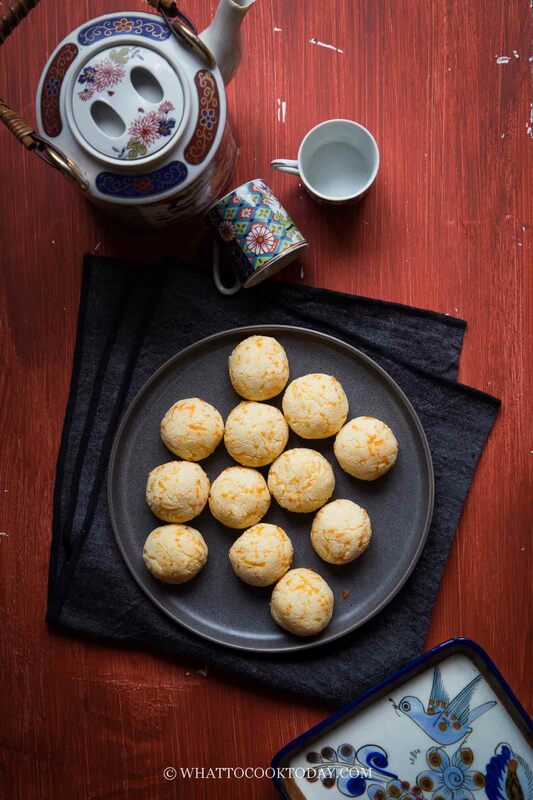 You can also use the Japanese mochiko flour for this recipe. 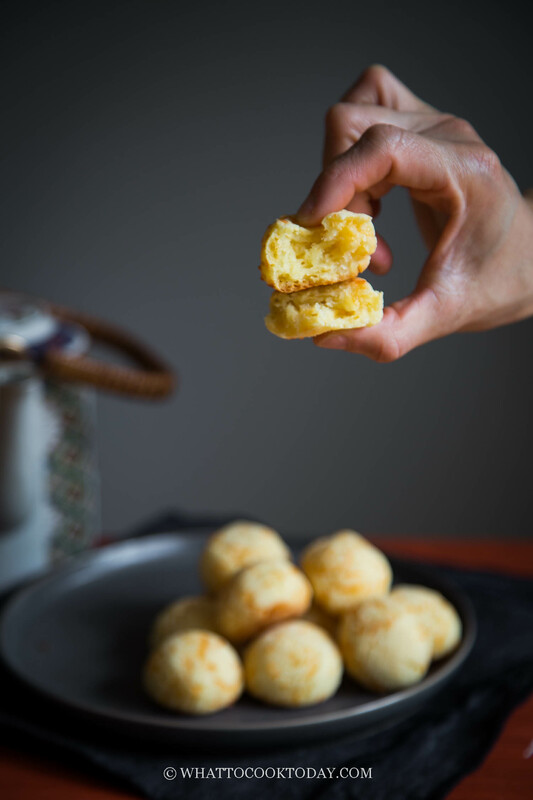 This super easy mini cheddar mochi bread is seriously super easy to make. No kneading, no waiting time, no rising! They are perfect as snacks or appetizers. 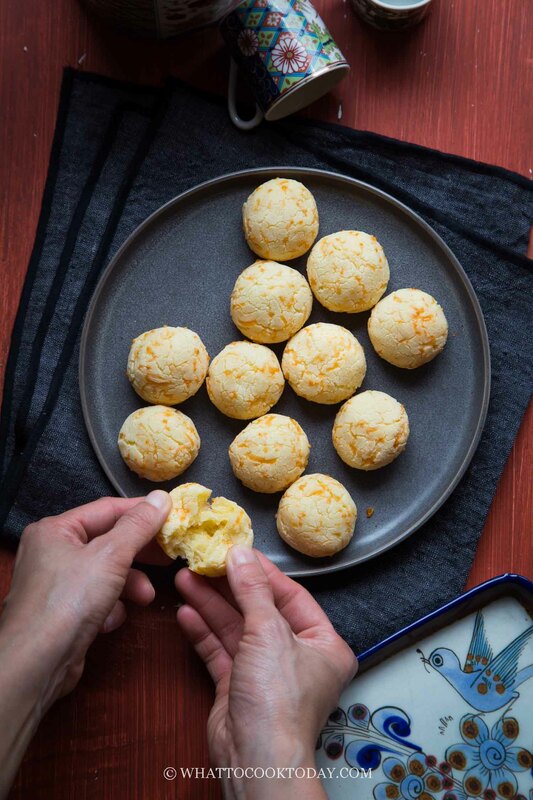 Love this soft mochi bread recipe. I like bread recipes. So I am bookmarking this delicious recipe. Hi.. do we have to use the 2 kinds of flour? Would you know if it affects the texture or taste if I use only tapioca flour? I wonder if Anna tried it with just tapioca flour? That is all I have on hand so I might just go that rout. Thank you for this wonderful mochi bread recipe! My attempt turned out perfectly and it was so easy! I especially love the fact that you mostly used metric measurements (I HATE when recipes use imperial measurements… so inaccurate especially for baking). I also like the layout of your blog; yes, there are ads, but they’re not completely overwhelming. I’m so glad they turned out perfect for you! yay! It’s so easy I know! My kids love these a lot! I agree with the imperial measurements, it’s highly inaccurate for baking (which reminds me I need to update some of my older baking recipes with metric measurements too LOL!). Thank you for trying and for letting me know 🙂 Made my day!